Well... as many you know I've been working (for a very long time, sorry) on a Sand Scorcher Baja Racer. After seeing some very good examples where you've beating me to it. I decided I needed something new for front tyres. But I wanted them to match up with rears. I hope you like them ??? 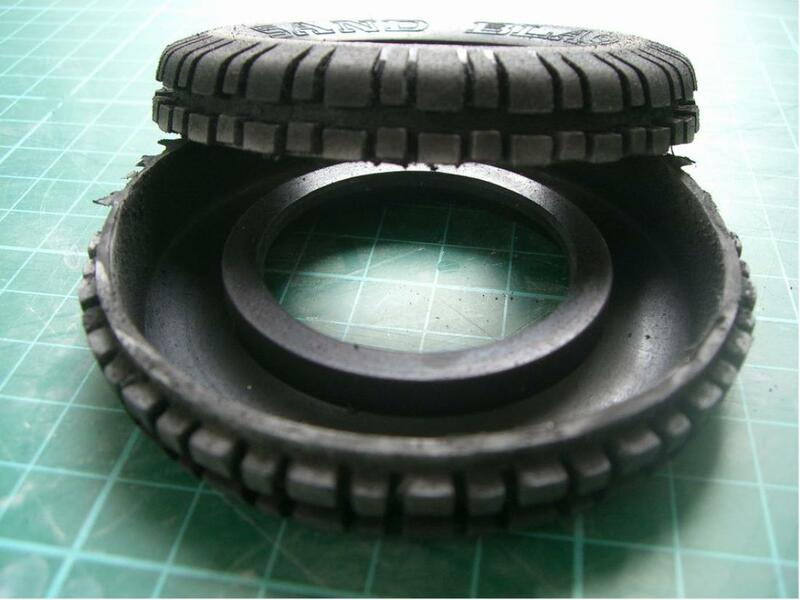 So I started by cutting the central run of tread from a Standard set of Buggy Champ rear Blaster's, see pic 2. then glue back together using Black tire glue (easily available on ebay). You obviously can't use the usual 3 piece front wheels. 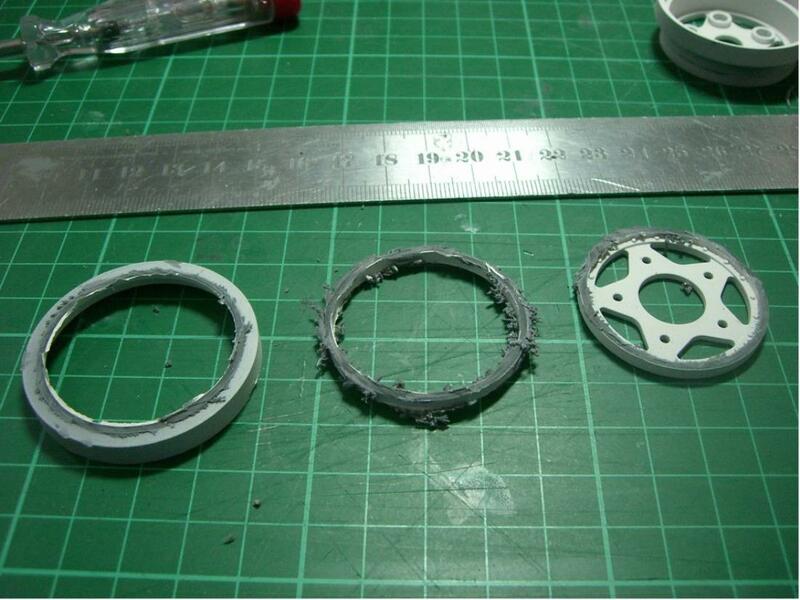 So use a normal Buggy Champ/Rough Rider middle piece and fit that inside your cut down tyre, as normal. Then get the front and rear pieces that you'd normally use on the rear wheel and cut out about 2mm from the middle of each cover, see pics. The only difficult part about this is you need to cut a very even parralell line each time or else the wheel will have no balance. Once you work out a way to do it its quite straight forward. 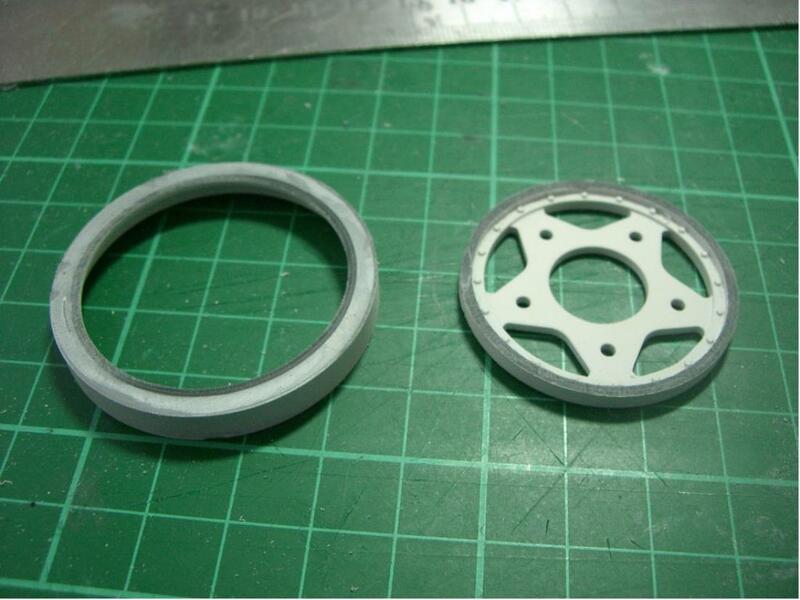 (On the rear cover you need to make the centre hole large enough to fit on to the middle hub properly). Glue the two halves of each front and rear covers back together. Voila!!!! bolt your wheel up as usual (8mm bolts) Job Done !!!!! 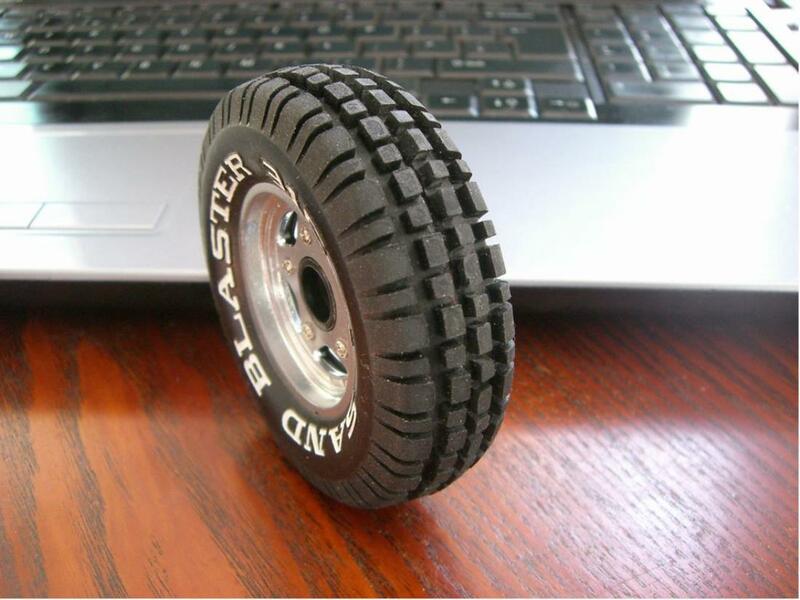 A lot more realistic front tyres... Hope you like, let me know what you think..
My New Sand Blaster front tyres Cut out the centre tread Clean off the cuts before gluing together Cut 2mm from middle wall of front cover Same again on rear cover Clean off cuts Glue back together Voila !!! 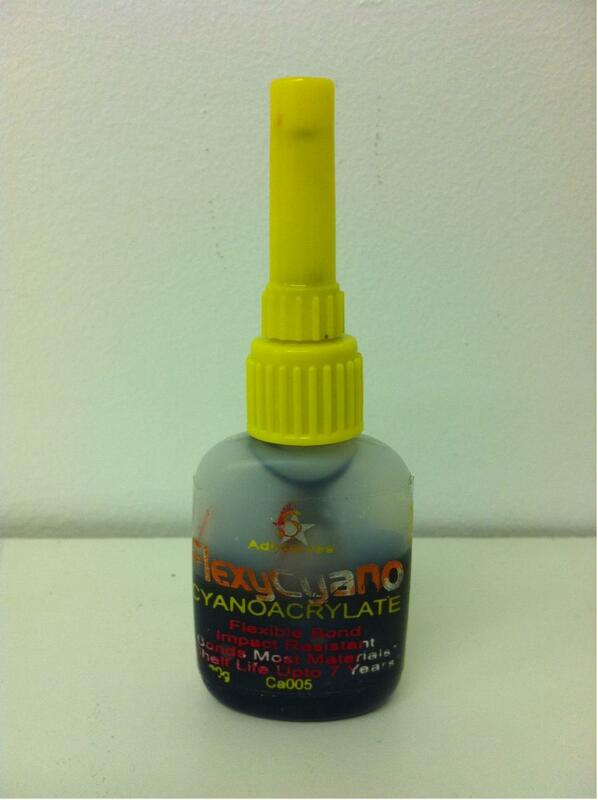 done The glue, a flexi CA in black.. This is looking really really nice & I'm sure these will set it off a treat Thanks for sharing how you achieved this, I might give something like this ago on mine - when I get round to it Can't wait to see this finished. Are those Sand Blaster 315's? @ Skottoman - thats it 915's on the rear and 315's on the front..
@ Toykid - we've got to have lettering all round its a must..
Thats a fab idea mate , well done . 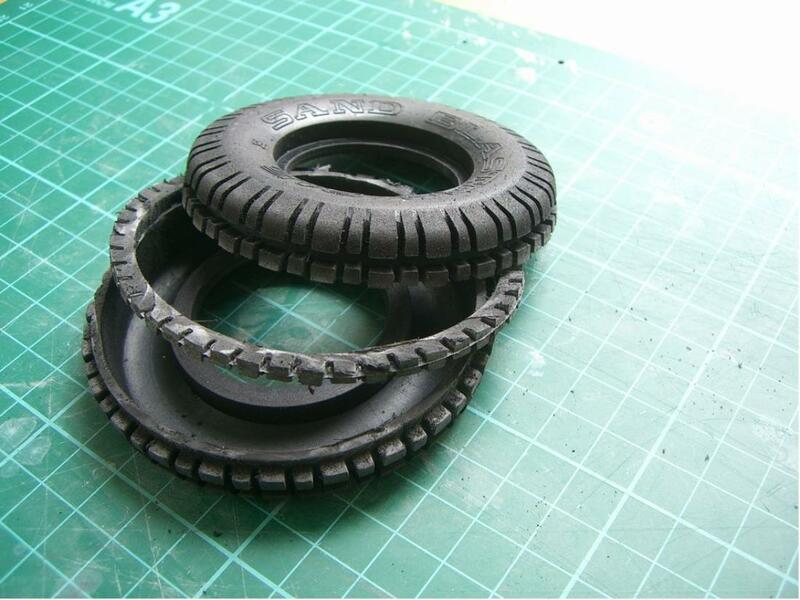 can you tell us what sort of glue you used to join tires back togeather . Time well spent Steve (got it right ) another finishing touch worth all the time put into it Are they runners or show tyres? just wonder if they peel at speed like remoulds? Reminds me of the ones I made for my project Sand Scorcher I used the same principle for making the front tires, and I believe I also removed one line of blocks in the tire - I just didn't like the smaller diameter of the RR front tires, so I needed something nice to match the rears as well I didn't alter the wheels though, I just used RR front wheels, but they are a bit more round than the rears when you do that. Nice to see it done properly! 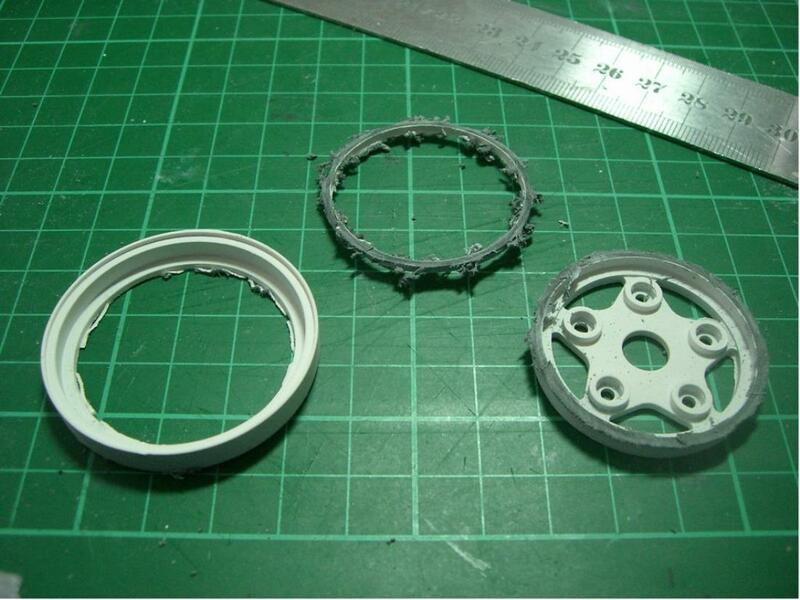 Excellent work, the wheel looks superb. Wow, cut-n-shut Sand Blasters. Genius! Wow, now thats a great idea and one i may use if you don't mind? I think i love you !!! in a manly way of course ! Hi a set of these on the front with sand blasters on the rear of the new holiday buggy would look very neat! Great thinking! superb job,does'nt matter how long it takes,.......looking forward to seeing the finished job.. Thanks Guys, @anchordriver- I'll find the bottle and let you know which glue it was. @gr2fltp- they are designed for runners, Proline guys glue tyre halves together a lot. But not tested fully yet. I've got them the chassis now (WOW!! ) @j-man you go for it, the more I see the happier I'll be. Once you've done a couple they don't take long, it was idea that took me ages. Spot on and very very neatly done! well it's about time... Quality work Steve; love it. That tire/wheel modification looks great, thanks for sharing it. 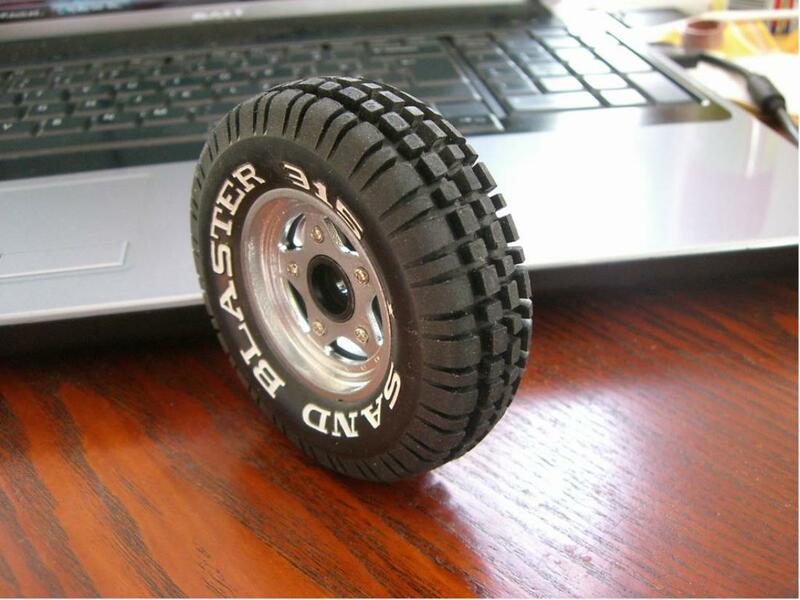 I did a similar mod with other tires but the glue i used woudt not hold! Coudt you tel me wheir you get those gleu from! Awesome mod, thanks for sharing! 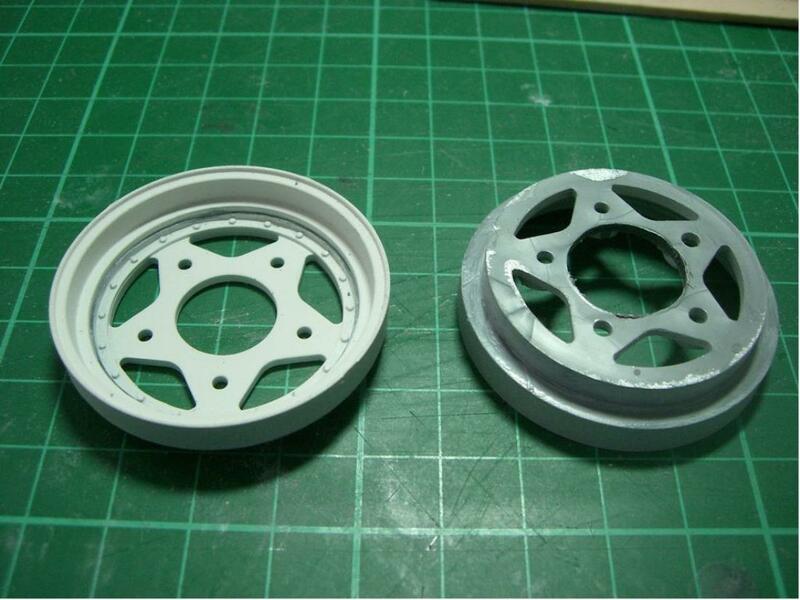 Do you need to use the rear wheel outer halves or will the standard fronts also work? They look the dogs dangly bits!! So what is your address and how much will you charge for 2 pairs!!! Look so much better than original RR front tyres. Absolutely superb. These look fantastic and you make it sounds pretty easy! I'm concerned about my apparent inability to cut in a perfectly straight line though! Well done on these! Bloke, This is so cool. I cant believe I missed this. I am very impressed. Nice work my friend. You make it sound so easy 'NOT' LOL. Beautiful work! I should have known someone would have done this already - wish I'd found your how-too as I've just done mine too!